Nearly every CEO we meet with struggles when we ask "Tell us about your sales process." If you have not defined a clear sales process for your team to follow, how can you expect consistent sales results and revenue growth? 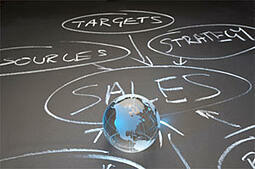 Here are ten (10) steps you should take to build a profitable sales process for your company. Over the coming weeks we will write a series of articles providing more detail and guideance for each of these. Know Your Target - Who is your ideal customer? Describe them (annual revenue, number of employees, industry veritical, geographical proximity, stage in business life cycle, etc.). - Which of your current customers drive the most revenue? - Which drive the most profit? - Are their more prospective clients like them? - Which customers are capable of building a long-term relationship with the opportunity for repeatable revenue? - Which are likely to be one-time transactions (or once every x years) and is that transaction profitable? - Where does your conversation typically start at these companies? - What is the title of the person with whom you would like your sales people to start the conversation? - What is their area of responsibility (which is not always reflected in their title)? - If you can't get traction with that person, what's the next best place to start a conversation? - What's the typcial title of that person and what is their functional area of responsibility? Advice: for more clarity on who to target, read Bob Bloom's Inside Advantage. Once you understand your "who" everyone on your sales team should build a list of X number of primary targets. X will depend on the size of your prospect universe, the level of complexity in making a sale, the length of your sales cycle, the level of activity each sales person can manage, the level of activity required to meet your revenue goals, where the sales person is in terms of their development, your sales model (do your sales people stay involved after the sale or do they sell and move on), the size of their book of business, and many other factors. "Whatever the right number of active targets is for your company, focusing each sales person on a clearly defined list that they proactively manage helps prevent "Easter Egg Hunting" and reactive undisciplined selling. - How well do your sales people understand what is truly important to your customers? - Do your sales people know the factors your customers considered when making the decision to purchase from your company? - Can your sales people clearly articulate the impact your product or service is having on your client? Typically this comes down to saving money, time or both. It may also impact quality....or their ability to get to market with a new product faster....or their ability to stay in compliance with a law or regulation....or any number of factors. Whatever the case may be for your company, it's absolutely critical for your sales people to be able to articulate this in a few crisp phrases that a prospective customer will immediate understand and respond to. 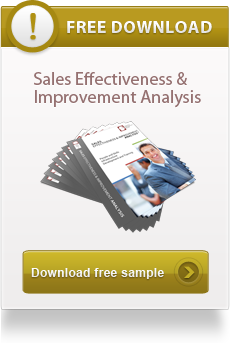 - How much time does your sales team truly spend on business development? - Do you track initial conversations? - How many attempts do they make every day? Once your sales team has a clear understanding of who you are targeting, can they crisply articulate what's important to your prospective customers? Does each sales person have a clear list of companies to contact? If so, it's time to get to work. There's no easy way around this! Your sales people need to make contact and start learning about about your prospective clients and whether or not there is a problem worth setting up a meeting to explore. If you follow the first four steps you should start seeing more appointments and better qualified appointments. Pay attention to the reasons prospective clients agree to a meeting or a demo - what problems is your sales team finding when they make initial contact? Also monitor how many appointments are being set and whether or not this number will support your sales goals. It's ok if they book appointments from prospects that are not on their list of top X prospects (from referrals or in-bound leads or whatever) as long as each sales person continues to faithfully work their list. Every sale starts with a conversation and busy, productive sales people consistently start new conversations (appointments) every week. Know the issues that engage prospects to want to set up an initial appointment is a great start, but once your sales people are on that appointment they need to explore all the issues. - Can your sales managers articulate and coach to all the areas to explore? - Have they developed "question funnels" that will help your sales team explore these areas? - Do certain sales people just stick to what they know or what they are comfortable with rather than exploring all the possible issues and pain points a prospective customer may be experiencing? The better your sales team gets at asking questions that help prospective customers think of their problems differently, the better your sales result will be. Whether it happens in one meeting or a series of meetings, the questions your sales people ask when following a disciplined sales process should create urgency for the prospective customer to make a change. To start doing something (hopefully with you). To stop doing something (hopefully internally or with your competitor). 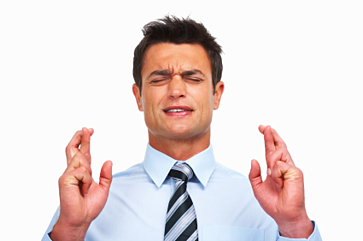 Do your sales people create enough urgency when meeting with prospects? Without this urgency to act, your proposals will just languish and be forgotten. Many of the sales people we coach skip through the qualification process and miss key steps and considerations. Just because the prospective customer has a problem you can solve and has the budget to solve it doesn't mean they are qualified. - How well do your sales people do when it comes to understanding the client's decision process? - Their willingness to leave their current vendor? - The impact your solution will have on other departments? - The impact the sale will have on your operation and your ability to deliver what the client is asking for? A disciplined sales process saves you time and money by making sure you're only drafting proposals for well-qualified opportunities. If your sales people have the right kind of conversation throughout the sales process the "close" should be a natural next step. It shouldn't be a big deal that requires a lot of drama or theatrical closing techniques. If your sales people built the case to change, created urgency for the propsective client to act, and have taken the time to understand and address all of the qualification issues, the closing question should simply come down to "Would you like us to help you with this issue?" or something along those lines. I can't tell you how many times we've seen a success sale get fumbled and lost due to a poor hand off. What can your sales people do to ensure a smooth transition from the sales conversation to the delivery conversation? Simple steps such as having your sales person ask for the contact information for a technical person at the customer can save a lot of time and frustration when someone in your operation has a question. What are the typical stumbling blocks you hit when bringing on a new customer or starting a new project? What can your sales people do to help you avoid them? Over the next month we are writing a series of articles going a little deeper into these areas so you can begin to implement a more disciplined sales process at your company. If you would like help mapping out your sales process, we would be happy to meet for a cup of coffee to talk about what we can do to help your sales organization get there faster.